Watched just a couple of movies on home theater in the entire month. “Jaane Tu…”, that I heard so much about, did not disappoint. But some how Genelia managed to look old and worn out in this movie. Though the story and screenplay were positively formulaic, such themes usually go down well with any type of audience. But the movie I liked more was “1971” which I missed watching last year. Though the 1st hour was little slow, it picked up momentum post-interval and finally left me moved with deep emotions. Apart from the fact that there are still so many Indian POWs languishing in Pakistani jails (which speaks a lot about the apathy of Indian administration), this film is a grim reminder about the tough conditions soldiers live through, with nothing more than a modest salary and possibly a medal to show for their sacrifices. The locales in which the climax of the film was shot reminded me about the inhuman conditions in which India and Pakistan armies have been waging a conflict in Siachen. 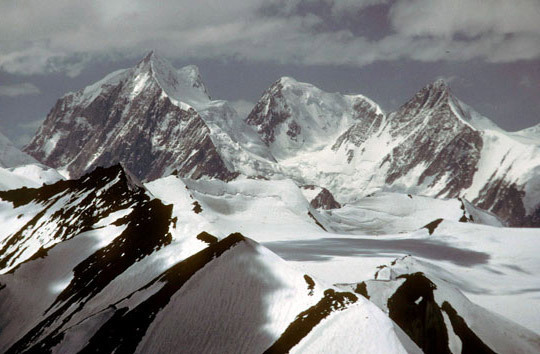 The Siachen Conflict is over the disputed Siachen Glacier region in Kashmir. 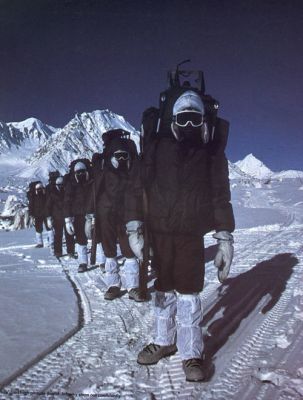 It began in 1984, and more than 4000 soldiers (from both sides) allegedly died in this inhospitable terrain, mostly due to weather extremities and the natural hazards of mountain warfare. Back to the film, it reminded me about a family get together I attended some months ago in an ex-colleague’s house in Vayupuri, Secunderabad. This ex-colleague of mine was a Doctor who previously served in Indian Airforce. Hence, the party was attended by lot of Ex-Airforce and Ex-Army folks. That night I had the privilege of listening to the war stories of the officers who were part of 1965 and 1971 wars. Truly a memorable experience! I could not find a better headline for this post than the most abused “India Shining”. The following is a straight “lift” from a Business Week article on Indian companies who are setting the pace for the world to follow. a Must read.. The main hall of the Science & Technology Museum in Shanghai was packed. More than 150 top executives of multinational companies had arrived at the invitation of IBM Chief Sam Palmisano to participate in IBM’s Business Leadership Forum.On the dais, Palmisano introduced the day’s speaker: Sunil Mittal, Chairman and CEO of India’s premier mobile-services provider, Bharti Tele-Ventures Ltd. This company, said Palmisano, “is on a rocket to the moon. “Why would IBM’s chief be in China lauding an Indian telco that few outside India had even heard of a short time ago? It’s not just because Bharti did a 10-year $750 million IT-outsourcing deal with IBM. It’s also because Bharti — one of the world’s fastest-growing telcos and the most capital-efficient — is one of the many Indian companies proving to be visionary in their fields. We’re not talking about the champions of Bangalore, innovative as they are. These trendsetters range from telco newcomers such as Bharti to established giants like the $18 billion Tata Group and even former state-run players like ICICI Bank. All are rethinking the way they manage assets, distribute products, and use technologies to create new services. India’s ‘rapid, incremental innovations,’ in the words of John Hagel III, a business-strategy consultant and author of a recent book on India and China, The Only Sustainable Edge, can provide lessons to companies everywhere. What characterizes the best of the Indian outfits? They’ve learned to question the basic concepts of their industries, an attitude born of collective experience. For decades after achieving independence in 1947, India imposed severe restrictions on the capital private companies could tap, the technologies they could import, and the foreign exchange they could hold.So the best ones learned how to devise ingenious, low-cost solutions to their problems and even reimagine industries such as software services. Since Indian industry was unshackled from state strictures in 1991, it has accelerated the process of innovation to stress affordability and quality. Bharti is the largest mobile operator in India, with 12 million subscribers and a 22% market share. It earned a net profit of $330 million on sales of $1.8 billion for the fiscal year ending Mar. 31. CEO Mittal, 48, likes to tell investors that Bharti charges just 2 cents a minute for phone calls on its Airtel service — and pockets 1 cents of that.Mittal realized that the Western model for mobile-phone businesses — building and maintaining huge, expensive cellular networks — wasn’t for Bharti, which wanted to keep costs down in any way possible while providing reliable service.So in February, 2004, Bharti became the largest telco in the world to try something truly radical. It outsourced its entire cellular network to its three existing equipment suppliers: Ericsson, Nokia, and Siemens — a $725 million, three-year deal.The move to “deep outsourcing” was revolutionary. Networks are as crucial to telecom players as engines are to auto makers. But it worked, and the effect on Bharti was profound. With executives no longer focused on managing the network, Bharti has turned its attention to marketing and customer service. In a year it has added 6 million subscribers — one-fourth of India’s annual subscriber growth and by far the fastest sign-up rate in India’s history.”It’s a big transformation, and it’s becoming a global model,” says Erik Oldmark, who runs marketing strategy worldwide for Ericsson. On Aug. 8, Bharti took its model one step further by outsourcing its call-center operations. Cars on demand: Bharti was able to tap outside expertise to remake its business. The $18 billion Tata Group relies on outside knowhow as well — but in this case, it’s the traditional skills of India’s working class. Tata, a conglomerate, has long made sturdy trucks.But four years ago, Chairman Ratan Tata plunged into the passenger-car business despite much skepticism. The result was India’s first indigenously designed, developed, and produced car — the $6,600 Indica. Tata used all of India’s low-cost engineering skills to develop the car, at 60% of the usual cost of launching a new model.Now he has put his team to work on his dream project: a car that will sell for only $2,200. “I wanted to change the rules of the game,” Tata says. “I wanted to change the way business is done.”The “people’s car” will use a combination of steel and composite plastic for its body, put together with industrial adhesive along with nuts and bolts. But what’s the business changer? Tata will attempt to do away with the traditional model of manufacturing solely in a factory and distributing exclusively through established dealers.The plan is to make the basic components of the car in Tata plants — and then to send the car off the company’s assembly line much like a bicycle, in a knocked-down kit form. These will be shipped across the country to Tata-trained franchisees. Some of them will be Tata Motors car dealers. But other franchisees may be any of India’s thousands of roadside garages.The mechanics will keep the kits in their garages and assemble them on demand for customers — then service them as needed.”It will give an opportunity to young, capable people to create an enterprise,” says Tata. But the move will also save an estimated 20% of an auto’s production, experts say. “Tata’s plan makes the car a commodity,” says Kumar Bhattacharyya, director of Warwick Manufacturing Group at the University of Warwick in Britain.If Ratan Tata’s plan works, he will have stripped away a layer of distribution and manufacturing costs. Other Indian companies are tackling different kinds of distribution costs — and blowing away traditional assumptions in the process. In the case of ITC, managers are aggressively seeking ways to eliminate the exploitative middlemen who buy, transport, and market Indian farmers’ produce. Kolkata-based ITC is best known as a hotelier and as India’s largest producer of cigarettes. But it also sells fertilizer to farmers and buys their grain to make processed foods.For years, ITC conducted its business with farmers through a maze of intermediaries, from brokers to traders. So ITC’s head of international business, S. Sivakumar, thought of using e-commerce as a way to break the unhealthy hold of traders over the supply chain.In the initial experiment — begun four years ago in the central Indian state of Madhya Pradesh — Sivakumar set up computer kiosks in 20 villages and hired a well-known local farmer to run each kiosk. He and other farmers would access the company’s intranet — dubbed e-chaupal, for electronic “town square” — twice a day to check ITC’s own offer price for produce, as well as prices in the closest village market, in the state capital, in New Delhi, and on the Chicago commodities exchange.The site relayed daily weather conditions and educated users about new farming techniques worldwide. In the evening, the local children took free lessons on the computer. In return, the farmers would usually give ITC first dibs on their crops, thus eliminating the middlemen.Rising incomesHow well the model works can be seen in the life of farmers such as 38-year-old Gulab Singh Varma. His two-room house is well-appointed by the standards of Bhaukhedi, the village of 3,000 where he lives in Sehore district, Madhya Pradesh.In pride of place, next to a bright-red velvet sofa, is the e-chaupal computer, complete with speakers, printer, a satellite connection, and two sets of solar-powered batteries.Before e-chaupal was set up, he says, farmers would spend three days traveling to the nearest market to sell their produce and never got a fair price. Then they would buy fertilizer and pesticides at premium rates and return home feeling cheated.”Now it takes a few hours to make a sale in the local market,” Varma says, “because we know the prices a day ahead of time, and we negotiate with the local market on the Web site.”Selling produce to ITC, thanks to the direct connection, nets the farmers 5% to 15% more than in the traditional marketplace. ITC is now building large, rural Wal-Mart-like supermarkets where farmers come to sell their produce and buy everything they need, from tractors to cell phones. “Since e-chaupal began, the farmers’ incomes have increased by 25% to 30%,” estimates Varma.Through 2010, when ITC hopes to reach its goal of 100,000 villages participating in e-chaupal, the company will spend $100 million a year on developing this network.None of the competition, including US rival Cargill Corp, can match this head start. Consultant Hagel worries that Western companies are “far too complacent about the changes and won’t have the capabilities to respond” to such business models.Will Western multinationals find themselves confronting model Indian companies outside India as well? For now, Indian companies are venturing overseas more slowly and cheaply than their state-backed Chinese counterparts.The Indians are making $1 million to $100 million acquisitions to learn about foreign markets or to tap capabilities for their own operations.But that doesn’t mean there won’t be surprises. “Companies out of India and China will be disruptive business models, coming at you in ways you can’t anticipate,” says Jayant Sinha, author of a recent McKinsey & Co. study of globalizing companies from the developing world. Already, India’s ICICI Bank, with $42 billion in assets, is adapting the outsourcing model to finance. It has turned itself into a low-cost consumer bank by building its own high-tech back office and is expanding in rural India by setting up automated teller machines in villages.Now, ICICI is using that technological edge abroad, opening up a wholly owned bank subsidiary in Canada. By operating its low-cost back end in India, the bank is passing on those benefits to locals who bank through the Internet in the form of interest some 35 to 75 basis points higher than what’s available at other Canadian banks.The product has been so popular that the bank already has 22,000 customers, with 1,500 new ones signing up every week. Indian companies like ICICI can successfully take their models overseas because they are firmly anchored to their home market. A home market that is constantly being reinvented.